Do you like to sleep with your pet in your bed? Maybe you don’t have much of a choice in the matter because that’s where your pet likes to sleep, or the only place where they will rest without whining all night long. Whether your pet sleeps in your bed or not, there are benefits to being close to them. About 60% of Americans have pets, and around half of those have their pet in the bedroom with them at night. This indicates that, at least for some people, there are some great things about having their pet close by at night. An increased sense of social support. If you feel lonely or anxious at night, it might help you to sleep with an animal so that you don’t feel alone in these moments. Higher feelings of personal security. Most animals will let you know if there’s any sort of suspicious behavior going on nearby. This might wake you up, but it might also help you feel safer at night. Lower stress. Just touching an animal raises the levels of oxytocin in the brain, which makes you feel better. If you tend to feel stressed out and anxious at night, having your pet nearby could help you. A sense of warmth and comfort. Do you get cold at night, or do you have trouble feeling comfortable in your own bed? Having your pet close by could help with both of these things. Different people can handle different levels of sleeping intimacy with their animals. Many pet owners like to have their furry friends close all night long and so invite them to share the bed. This works well for some people, but others find that their animals move around a lot at night, wake them when they want to go out, snore, or are just generally poor bedfellows. If this is you, consider some other options. If your bed is big enough, you may consider putting a pet bed on one side or in one corner. This would give your animal a specific place to sleep so that they don’t take up the whole bed. It might also help them feel just a little bit contained, so they are less likely to roam at night. If that doesn’t work for you, try a pet bed on the floor right next to you. This setup keeps you and your pet close but eliminates all of the wiggling and squirming that can wake you at night. It also allows your pet to get up without walking on you or waking you. Sleeping with your pet can be as comfortable as sleeping without them. 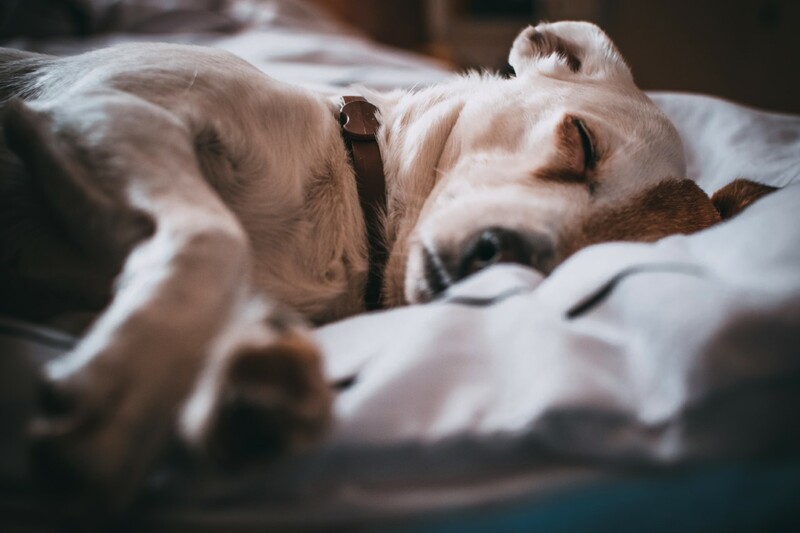 You just need to have the right tools and tricks up your sleeve to help both you and your pet sleep soundly.